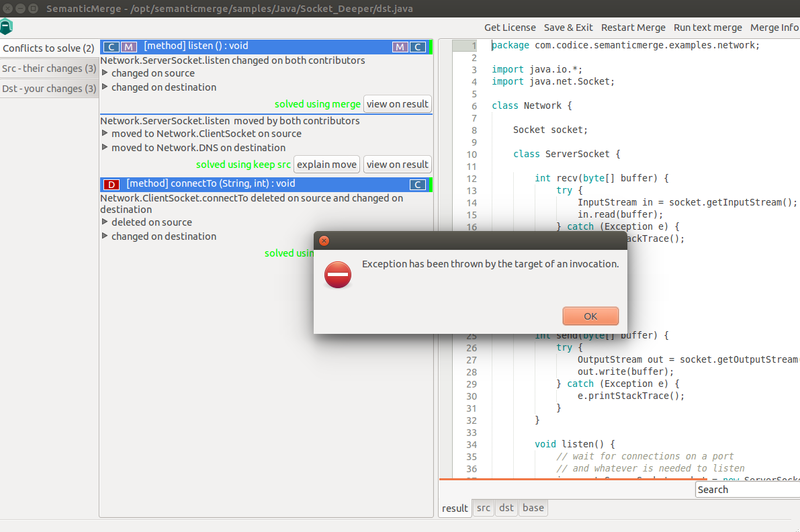 I'm using sematicmergetool on Ubuntu 14.04 for a while, but a few weeks ago started to throw exceptions while i press the save button after solving conflicts. Thanks for reporting. I´ve reproduced the issue. We will review and fix it asap. The null was hiding a error message. Probably a corrupt license message. Could you upgrade and check if it´s properly working?